Yolax Infranergy Pvt Ltd provides sustainable energy solutions and services to serve the household and businesses sector. We are also working with Rooftop solar projects which is a well known phenomenon now days. We offer consulting regarding the supply of solar technology to the rural poor and also procurement support. Yolax helps in providing Solar Power Solution to commercial establishments like Houses, Petrol Pumps, Hospitals and Banks etc in India. We help the project developers in installing the plant within Budget, time and with high performance and also helps to adopt best practices to ensure assured return on investment. Here we offer complete solutions for implementation of a solar project and working with effective conventional water pumping systems which is meant to help in the remote locations where the cost of running traditional water piping is prohibitive or of limited access. Our team is of highly qualified engineers with a wealth of industry knowledge and experience and hands-on experience in providing innovative design and engineering solutions to our clients in various stages of project development. Our familiarity with the local conditions allows us to provide appropriate cost effective solutions to specific project design and engineering issues. Our consultants have the technical, commercial, policy and regulatory expertise required to assist you during any stage of the project development. 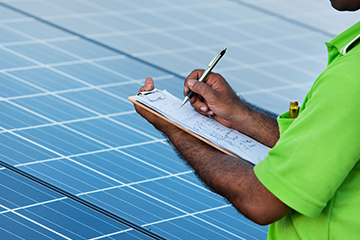 We demonstrate commitment to facilitate solar power project developers and offer highly flexible services for project development in synchronization with Government renewable energy policies.